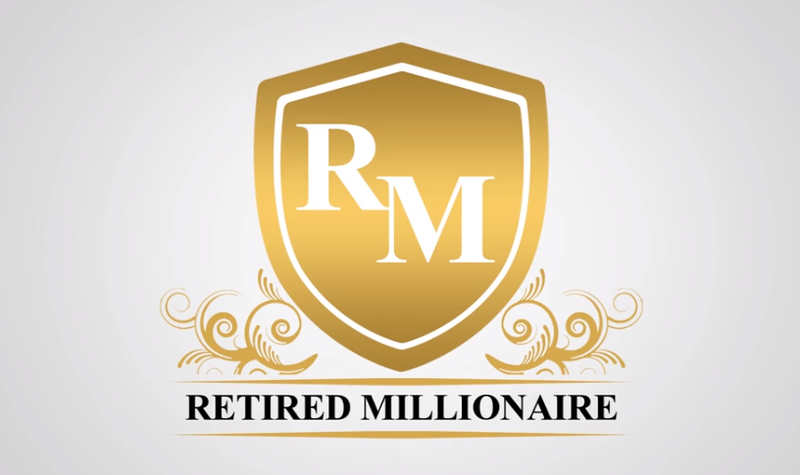 →Easy Retired Millionaire Review – A Waste Of Time & Money! 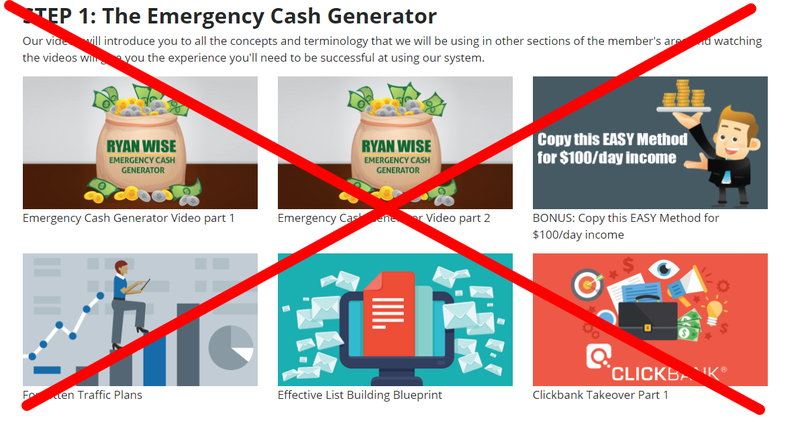 Another low-quality ClickBank product has been released to the masses of the affiliate marketing world. Any newbie affiliate marketer, looking for the first commission, better run away from the service because sales page is extraordinarily misleading and holds no congruency to what you get inside the training. This new services called Easy Retired Millionaire, and it promises to show you easy and automated profits if you buy the service. I purchased a copy for $47 so that I could see for myself what the training was like. Imagine my surprise when I entered the member's area to find nothing but old and low-quality affiliate marketing training, most of which holds no bearing or value to how you make money online in 2018. Based on my personal opinion and experience as a consumer, as I have purchased the service, this review will show you what is inside and shed some light on the quality of the modules. Here are my findings of Easy Retired Millionaire. What Does The Training Teach You? A Supposed "Method for $100/day Income"
Will These Monetisation Methods Make Money? Why Does ClickBank Allow These Products To Be Sold? 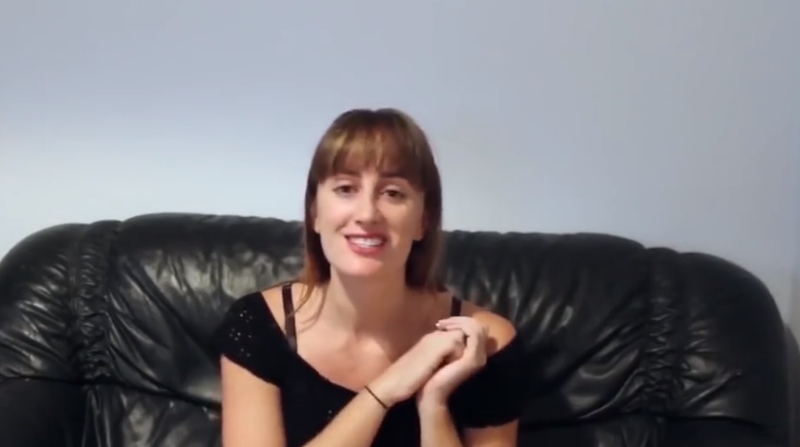 The training is supposed to teach you an "automated-push-button-money-making-method" because the sales page talks about clicking a few buttons and sitting back while waiting for your profit...? However when you get inside you can see that the monetisation methods they teach you are the basics of strategies like surveys, building a list with affiliate marketing, using classified adverts to make commissions and using ClickBank to earn commissions. Now, these are NOT easy money or quick money, and so it leads me to believe that the sales videos for a different product which I reviewed in July called Instant Payday Tricks. However, before I talk more about that, here is a detailed analysis of the training they provide. The first method they show you, for making money online, is using CashCrate. CashCrate is a service where you get paid for doing tasks and surveys and completing offers, much like SwagBucks or 20 Cogs. The training tells you that you can make a lot of money using the strategy when the truth is you can barely make anything at all, due to the low payout per task - you would be lucky to make $3 per hour! This training is also heavily outdated as the video is from 2014; so it baffles me that they are even included this because this is not a viable way of making money online. It is certainly not a "secret" or some "untapped resource" like sales video claims. The second part of the CashCrate training shows you how you can put adverts on Craigslist to recruit others to join and earn a referral bonus payout plus are residual percentage income from their earnings. Again, this is something that has stopped working years ago because Craigslist does not allow these types of adverts any more. Posting "work from home" job adverts is blatant spam and will not work. Given that this training is from 2014 and has not updated, this is not a surprise. You can make money with micro jobs, but you need to be selective and have a community where you can find the best micro jobs. The second training module shows you how you can create listings on Craigslist for cars which you then manipulate into easy commissions. This is unsolicited spam and should be avoided at all costs. Again, this tutorial is at least four years old and will get your Craigslist account banned quicker than you can with a stick at it. This technique involves spamming Craigslist with fake listings of cars for sale which you link to auction sites, from ClickBank, which will pay you a commission for bringing them new customers. The idea is you post a listing for a car, completely fabricated and which you do not own, to send an unsuspecting visitor to an auction site where they might end up spending money by becoming a member of the site. If that person ends up buying a membership to use the auction site you get a commission. This is exceptionally deceitful and is very unlikely to work. The untapped traffic training teaches some very outdated methods such as blog commenting, article submission, and creating web 2.0 properties on places like Blogger and Weebly. These are strategies which are no longer effective and, if done on a large scale, will severely damage the SEO of your website. This training is also heavily outdated because you can see, in the video, that they suggest you use Squidoo to submit articles but that website was bought over by HubPages back in 2014. You can see, even back in 2014, Matt Cutts was warning people about this strategy and telling bloggers NOT to use article directory submissions. The list building training is over an hour and ten minutes long and is probably the only half decent training inside Easy Retired Millionaire. Even though it is very outdated, it does cover methods such as. Even though this training is very old, most likely from 2014 or before, it does cover some fundamental aspects of list maintenance and how you preserve your list in the long run. You are taught about giving value and how to build your email list by using all the methods I mentioned above. You are also given a clear outline of how to use download page offers, follow-up messages, and how to use squeeze pages to collect email leads. Clear instructions on why it's essential to build a list and the long-term longevity and profitability you can achieve if you nurture and provide value to your followers are also laid out inside this module. The "ClickBank: Take Over" tutorial is a bizarre and almost pointless introduction video to ClickBank. It's less than four minutes long and explains what ClickBank is. The training is entitled "Part One" but I cannot see the second part anywhere on this page, it was probably thrown in last minute as the place-filler. As usual, the testimonials on the sales page are entirely false. They are all purchased from Fiverr as a spokesperson gig. Why they are not able to produce genuine testimonials is relatively apparent, because nobody is making money with this training. If you look hard enough on Fiverr, you will find these faces. Another thing I want to point out is that each of the tutorial videos, presented inside this product, are from different authors and their naturally not bound together in the same training module. I find it very obvious that these modules are merely taken straight from YouTube and pasted inside the training as if it's part of this module. Whether or not the authors of those videos are aware of this, I do not know, but I'm confident that using other people's content like that and selling it is against the YouTube terms and conditions. There is no coherent plan or any money making method shown inside this training. The content inside is merely a random collection of PLR ebooks, low-paying "paid-to-do" tutorials and outdated SEO and affiliate marketing techniques. Why the creator of Easy Retired Millionaire has chosen these particular methods, as if they're some "loophole" or "secret", I do not know. I can almost guarantee you that you will not make money with anything they suggest here because nothing is connected and there is no plan of action. or how to anything relevant! As I mentioned previously in this article, this is merely a rebranding of a previous product I reviewed back in July called, Instant Payday Tricks. I do not know which one was released first, but regardless these are the same product just with a different name. My guess is these come from the same author or from some PLR database where the vendor puts on a different domain name and logo and resells it as their own. Either way, this is very misleading because anybody with experience can see that this is an incredibly low-quality product and will not help anybody, especially not a newbie affiliate. The vast majority of the products released on ClickBank in the Internet marketing niche and the business niche are incredibly low quality. They all follow the same pattern of having a hyped up and misleading sales page with fake sales claims, with paid testimonials which are designed to drive you to buy their service emotionally. When you are inside the member's area, you always feel duped, and you instantly get buyers remorse because you know you have been sold a gimmick or a complete bait and switch. The only reason ClickBank allows a service like Real Retired Millionaire to be sold on their server is that they don't take responsibility for them, they merely host the service on their server. Much like a web hosting provider doesn't take responsibility for the content on someone's website, ClickBank will not accept responsibility for the quality of the training modules they sell. ClickBank get a commission or some kind of fee in exchange for hosting people products so they would lose out on millions of dollars if they chose to stop selling these types of services. This is a crying shame, but this is the nature of the Internet marketing world. I think this review shows that this product is as close to a scam as you can come. The sales page is obviously for a different product and holds no relation to what you get inside the training area. The training is over four years old and is dangerous to any beginner who tries to use those strategies due to the outdated nature. There is no structure to the training nor is there any guidance on what you are supposed to do. I have been as honest as I can with my review, and I believe that Easy Retired Millionaire is a total waste of time and you should not use it. If you have been unlucky enough to have bought the service within the last 60 days, you are eligible ClickBank's 60-day money back guarantee which you can claim by clicking here. I do not enjoy calling a product a scam, in fact, I very rarely do, but in this case, the training is entirely misleading and dangerous.